I love this month’s RPG Blog Carnival theme, “How Do You Inspire Your Players?” This month’s carnival is hosted by Johnn Four over at Roleplaying Tips. What a great theme he’s chosen. As game masters keeping players engaged is our number one job. If no one is having a good time, what’s the point of playing? Here are a few tips from me to help keep your PCs engaged at the table. Odds are you know your players pretty well. Engage them by playing to their sensibilities and giving each player type at your table an engaging encounter at least once per session. Let the power gamer take on a pile of enemies, the actor talk to interesting NPCs, and the explorer wander some unknown cave or lost temple. Making sure you engage each player once per session in this way will keep them invested in the other parts of the game. It also makes them want to come back to the table week after week. Change up the amount of time spent on different encounters. If most of one session takes place slugging it out in the arena, maybe the next should be spent negotiating with the corrupt pit bosses to get the winning fees and other rewards the party earned. What if you don’t know your players so well? Even if you’ve been playing together for years it never hurts to ask your players what they want. Once you know what they’re looking for make sure you’re crafting worlds and stories which they find entertaining. 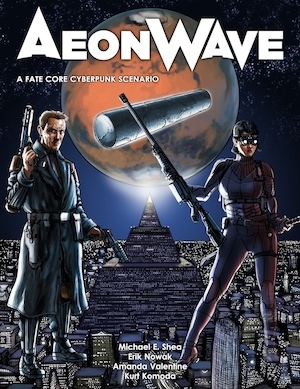 If no one in your group likes gothic horror but they love science fiction, maybe put away Ravenloft for some other players and grab Mike Shea’s Aeon Wave instead. I say it’s not enough to have players simply be engaged in the story. I want my players to take bold risks. Die Hard would be a pretty boring movie if John McClane simply snuck out of the building and let the authorities handle Hans Gruber. Let your PCs be heroes. Have them drive the story. When my group waffles with the decision-making, I reward the first person to take action. Don’t get me wrong. I love it when my PCs are planning. I don’t like when they spend 30 minutes arguing about how to handle an encounter with four kobolds. Anytime a player takes a calculated risk (as opposed to doing something stupid for no reason), I reward them. Most games have some built in mechanic for rewarding cool actions like fifth edition Dungeons and Dragons’ inspiration mechanic. Of course if my players need a little bit more of a safety net to get in the game, I’m not above adding a (patent-pending) bravery bonus to a roll when a PC does something cool and risky. Those are the kinds of actions I want to encourage my players to take. When an action is described in a particularly amazing way by a player, I have been known to grant an automatic success. This encourages my players to not only take risks, but remain engaged in the game. The more actively they listen to the story, the better they can describe their actions and get the payoff of an automatic success with a great description. I use this technique sparingly since it is a game-breaking reward. A great example of this is in the 2012 Acquisitions, Inc. PAX game around 1:51:00. Watch as Wil Wheaton describe’s his character’s acrobatics. A great way to inspire the players to get involved in your story is to use the stories they create. Every great PC has a great backstory the player has put time and energy into creating. The same way you want the players to invest in your story, invest in theirs. Challenge yourself to weave at least one PC backstory into the campaign in some way each session. It doesn’t always need to be a big dramatic showdown with the villain who killed the fighter’s father every time. Maybe an old mentor shows up with some helpful information or a PC’s friend is in town and they run into each other. That sort of thing keeps the players engaged and delightfully surprised. When all else fails, feel free to call your players out. I play most of my games through Roll20 at a time after all my players have gone to work. Some work longer hours, others are fathers, and all have the distraction of a computer connected to the internet right in front of their faces. There are times when I feel I’m doing my best GM song and dance, throwing out all sorts of inspiring tidbits, and no one seems engaged. It is at those times I will remind my players to get their heads in the game with the phrase, “Now is the time for heroes.” I’m telling them, “Stop reading Facebook, and start taking action to save the world.” Don’t be afraid to let your players know you need them to be more actively engaged. A big part of what they get out of the game is what they put into it. Encourage them to give it their all and be the heroes they’ve built. I also need to announce some changes here at World Builder Blog. Over the last two years I’ve worked very hard to make sure this blog was updated twice a week with longer posts like this one every Tuesday and Thursday. Starting next week the blog will only update with these longer posts once a week on Wednesdays. 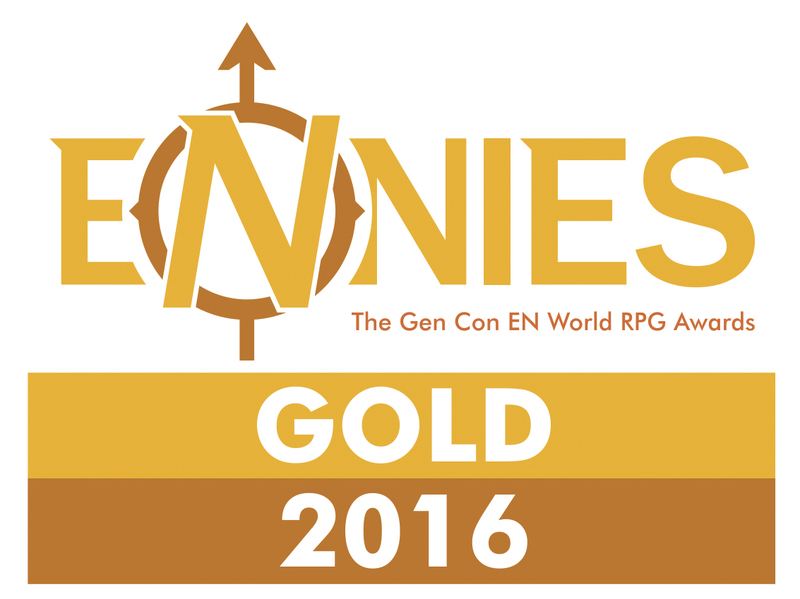 I’ve been spending so much time blogging and podcasting that it helped me get some other RPG design jobs to which I want to dedicate time. More information on those as they develop! I also want to dedicate time to putting out the Exploration Age Campaign Guide and making it the best it can be. I can only do so much in a week, but never fear. This blog will continue to update regularly, though less frequently, than it did. Thank you all so much for reading over the years. Let’s keep making awesome stuff together. You rock.